The cognitive development theory is based on the development of human intelligence. 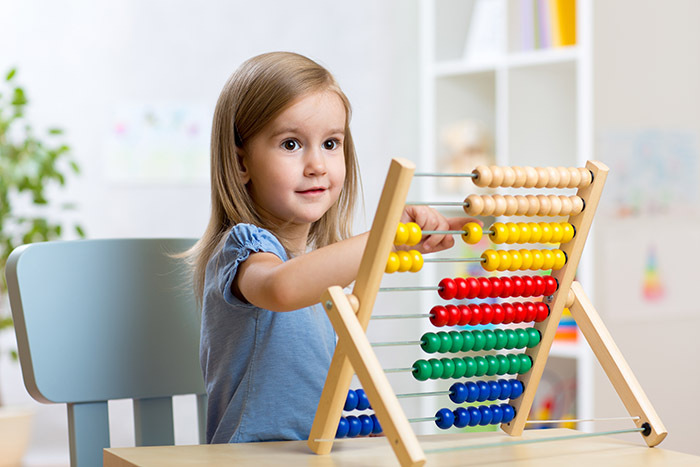 The central concept of the theory is that children actively construct their own cognition or knowledge as a result of their independent explorations. The theory of cognitive development was proposed by Jean Piaget, who is renowned for his work in the field of child development. Piaget’s research clashed with the popular behaviourism movement during his time. He opposed the behaviourist notion that a child was a passive recipient of knowledge and that their development was governed by rewards and punishments. According to him, children actively participate in creating their own understanding. This is done through means of observation, physical activities such as games, both indoor and outdoor and interaction with other people. The principles of evolutionary biology has said to have influenced Piaget in the development of his theory. The main argument of the theory is that the human mind, also known as cognitive structures, is an adaptation which ensures that our chances of survival are high by providing us a with the right ‘fit’ for the world. This means that human intelligence is an adaptation, shaped and moulded by our experiences, which makes sure that we know how to function accordingly in the environment around us so as to survive. But this concept is not necessarily true, as repeated experience shows that the knowledge of any single individual is not always perfect. Many a time, the information that is available may have been the outcome of wrong assumptions, misunderstanding or incorrect facts. Children, for example, may initially believe that their way of thinking is the only way that the universe thinks but this is incorrect. It is only later that they realize that others have different points of view. Keeping these facts in mind, Piaget suggested that children continuously revise their existing knowledge or understanding of the world to ensure that they make a better fit for reality. Therefore, cognitive development is essentially a process of revision where the child tries to restore equilibrium between his/her cognitive structures and physical and social reality. This leads to qualitative changes in a child’s thinking process which results in perceptions and preconceived notions being formed. According to Piaget, every child goes through different periods of development called stages. In each stage the child has a unique mode of thought that is an outcome of qualitatively similar knowledge structures. In this stage, an infant’s actions in the world decide how he thinks about it. Infants use a circular reaction, which means that when they accidentally generate a new experience by their motor activity, they try to recreate the occurrence repeatedly by a process of trial and error. They learn new behaviour patterns through the process of imitation and copy behaviour from things around them. Once the actions of the child start becoming more organized, he is able to use symbolic representations to think and can carry out operations mentally. In this stage, the child’s thinking becomes logical in nature. His thinking is tied to concrete reality. Children are now able to find solutions for conceptual problems by manipulating data using their logical concrete–operational skills. At this stage, the adolescent is now able to think independently and can explore possible or hypothetical realities. These adolescents solve problems by starting with possible solutions and then reasoning to arrive at the real solution. According to Piaget, for children to learn effectively, it is better to allow them to experiment with situations by themselves. The process of manipulating symbols and finding answers to their own questions will help them learn better than by just being told what to do and how to do it. Development psychologists have criticized Piaget for not giving importance to the various social and cultural factors that may affect a child’s cognitive development. They also disagreed with the idea of a child being a solitary learner.